I love me a good pair of ponte pants - elastic waistband and all. Comfy like pj's, but smart enough to wear out. The last two pair of ponte pants I made have worn out and I wasn't a big fan of the pattern I used. This time I tried Vogue 1197. The pattern gives a good outline of how to adjust the pants for fit and the adjustments I made were a full front thigh adjustment, shortened the leg length and lowered the waistband. This pattern is a winner - two pieces, easy to sew and great instructions on how to make the adjustments you need. I have also made a black pair which I left slightly longer than this pair. This pair was hemmed to the recommendation in the pattern and work well with flat shoes. Two days, two posts... don't expect this to keep up... Ciao! Very smart looking pants but that skinny leg wont work for me in winter, need my boots! 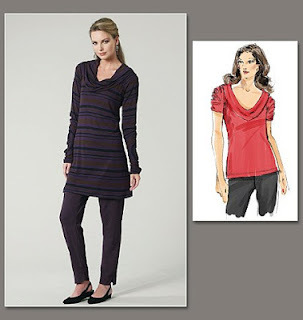 hmmmm....I have this pattern stashed; got it for the top but I think I need to look at the pants! 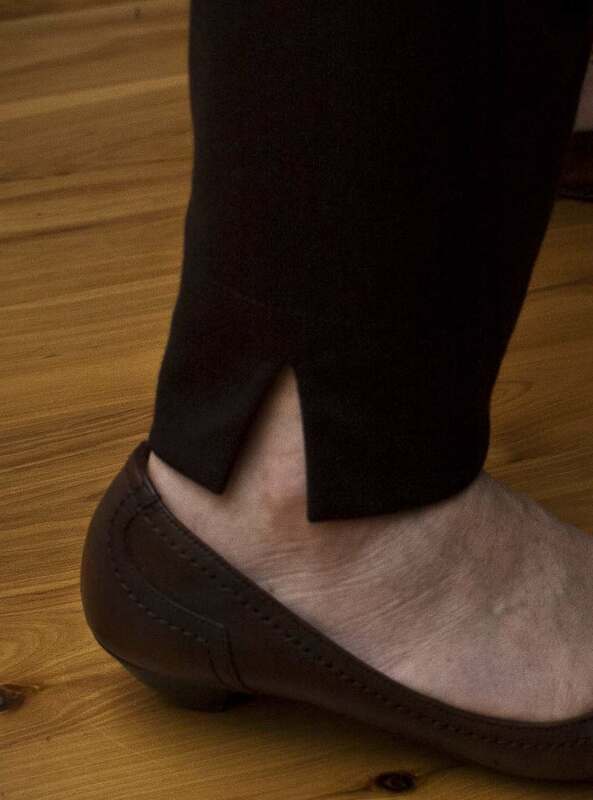 I like the idea o fponte pants, but do you find that they bag out at the knee during the day? Very smart, they came out well and should be really good to wear. Well, your version of this pattern really turned out great! So good looking, nice fit, just suits you so well. It looks so skinny on the envelope, I like your fuller treatment and longer length. Pretty. Yes, they are extremely comfy. Of course I buy mine at Sussan's as I am useless with sewing garments. These will be great for winter!! Like you, the blogging has taken a bit of a back seat lately. You have done well! Di. That little split at the ankle is such a nice little detail. The pants look great; I can see how they would get a ton of wear.